Leonardo DiCaprio finally scored his shiny gold Oscar, but he ain't slowing up anytime soon. The 41-year-old is officially tied to a new project with Paramount that'll likely get his fans super excited. 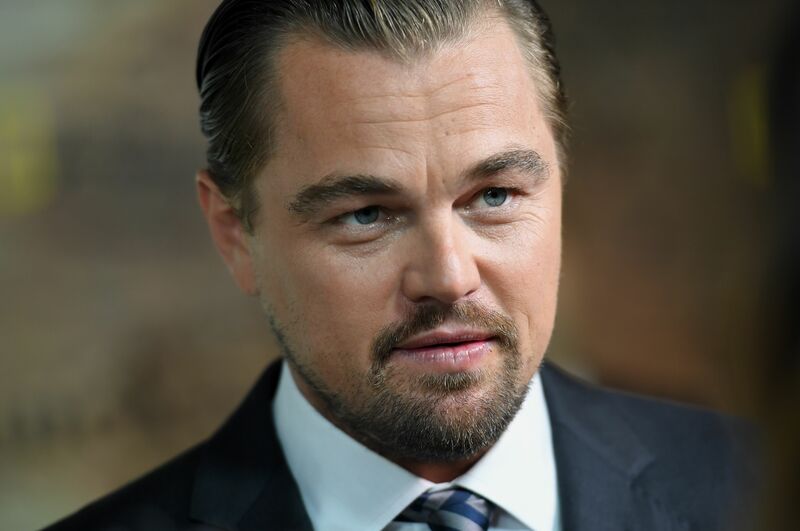 DiCaprio will play Sam Phillips in an upcoming film. According to Variety, the actor is tied to an upcoming on-screen take of the biography Sam Phillips: The Man Who Invented Rock ‘N’ Roll. Not only will DiCaprio star as Phillips, but he'll be producing as well. Beyond the fact that this beautiful man is returning to the screen so soon after his glory from The Revenant, the project is unlike what he's done in the past. Plus, mixing classic music with DiCaprio can only be one thing: epic. But hold on, who is Phillips aka the music icon the actor will play? The late musician was a huge influence in 1950s music, not only as a producer but as a record executive. Phillips worked closely with legends like Elvis and made waves for females and African Americans. It looks like he made good friends in the biz, as Mick Jagger and more Hollywood vets who helped write the novel will also join this project as producers. Here's what you need to know about Phillips before DiCaprio brings his bound-to-be-amazing portrayal of the late producer to the big screen. Phillips singlehandedly began the company in 1952 Memphis, with a vision to openly welcome ideas in a "spontaneous environment that invited creativity and vision," unlike other critical labels. In '54, he "found" Elvis. After nurturing Elvis' talent and helping him become an international icon and music king, other artists like Johnny Cash, Jerry Lee Lewis, the “Rockin’ Guitar Man” Carl Perkins, and B.B. King flocked to the label. Thus, it's referred to as the "holiest temple" of rock 'n' roll. 2. Phillips Is Referred To As The Man "Who Invented Rock 'N' Roll"
The sound Phillips created at Sun Records is considered revolutionary. The label helped birth "rockabilly," one of rock's earliest sounds, thanks to its lyrics, unique sound, and use of drums (which were prohibited on stage at the Grand Ole Opry at the time). For obvious reasons, he was inducted into the Rock and Roll Hall of Fame. Phillips was born to poor farmers in Alabama, where he was inspired by those singing alongside him as he picked cotton. Before he started Sun Records, he worked as a DJ and radio engineer, as his drive ultimately led to his label. In 1955, Phillips created the station WHER, which was an "all girl radio format," the first of its kind. The whole staff — announcers, sales staff, management, record librarians, copy writers — were female. A true visionary. Dallas Roberts played Phillips in 2005 Walk the Line alongside Joaquin Phoenix and Reese Witherspoon. Phillips was an advocate for celebrating musicians of different races, from blues to rock to country. Phillips' son Knox says he was "aware that the 'colored only' and 'whites only' signs he saw in Memphis were antithetical to what his parents were teaching him" as he was taught "tolerance, kindness, and humanity." Phillips is survived by two sons, wrestler Jerry and musician Knox (above). In 2003, he passed away of respiratory failure in Memphis. Ironically, it was one day before Sun Studio's original location was named a National Historic Landmark. Now that I know more about this legend, I can't think of anyone better to play him than DiCaprio. I'm ready.